INDIANA, PA – Free tires? Yes, it is true, courtesy of the American Racer Cup presented by Sunoco. 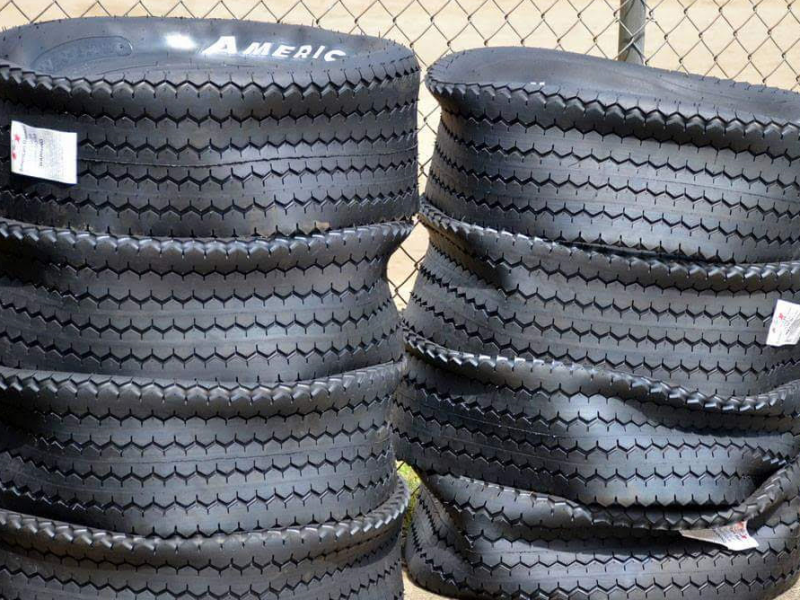 The annual pre-season tire giveaway is coming up on March 16 for all drivers registered to that point in both the Modified and Sportsman programs. 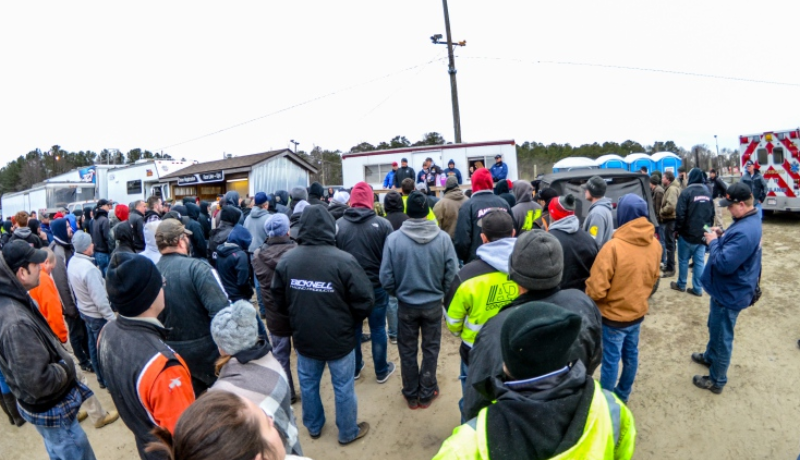 Four names will be drawn from both the Modified and Sportsman registrants during the pre-race drivers’ meeting at Georgetown (Del.) Speedway for the Melvin L. Joseph Memorial. The drawing will be shown live on the American Racer Cup Facebook page. Each of the four drivers in both divisions will receive a complimentary tire certificate. Recipients do not need to be present at Georgetown to win. Already, drivers have benefited from their membership this season. Cory Costa (Modified) and Bob Butcher (Sportsman) won November drawings at the Northeast Race Products Show in Syracuse, N.Y. At the Motorsports Racecar & Trade Show in Oaks, Pa., this past January, Matt Stangle (Modified) & Derrick McGrew Jr. (Sportsman) were the recipients. 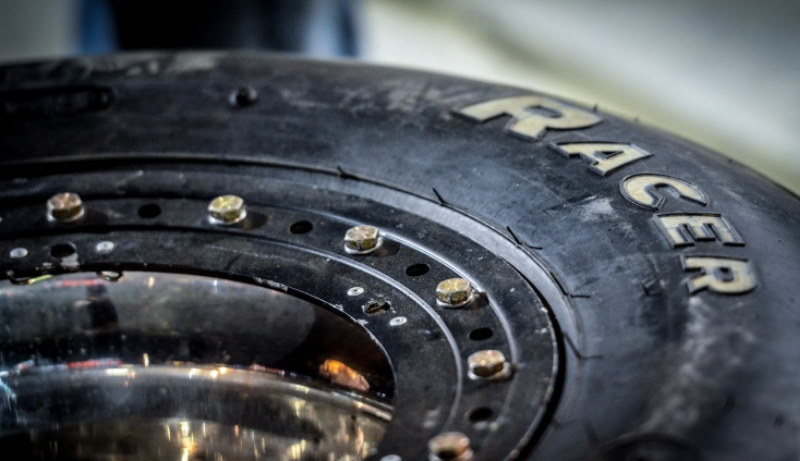 A total of 14 facilities have united under the American Racer Cup presented by Sunoco banner for the ’19 season, with drivers sharing in $51,450 in cash point fund money and more than 500 tire certificates. The ’19 edition of the American Racer Cup gets underway on Friday, April 12 and runs through Labor Day weekend. Once again, the American Racer Cup and Bob Hilbert Sportswear Short Track Super Series have paired up for hefty Sunoco Race Fuels Bonuses. Should a driver with the Short Track Super Series Modified North and South Regions plus the American Racer Cup, that driver will earn a $25,000 cash bonus. Should one driver with the Short Track Super Series North or South Region plus the American Racer Cup, a $10,000 bonus will await that driver. MILLSBORO, DE – After a summer of racing across four states, the 2018 American Racer Cup presented by Sunoco Race Fuels has been decided. 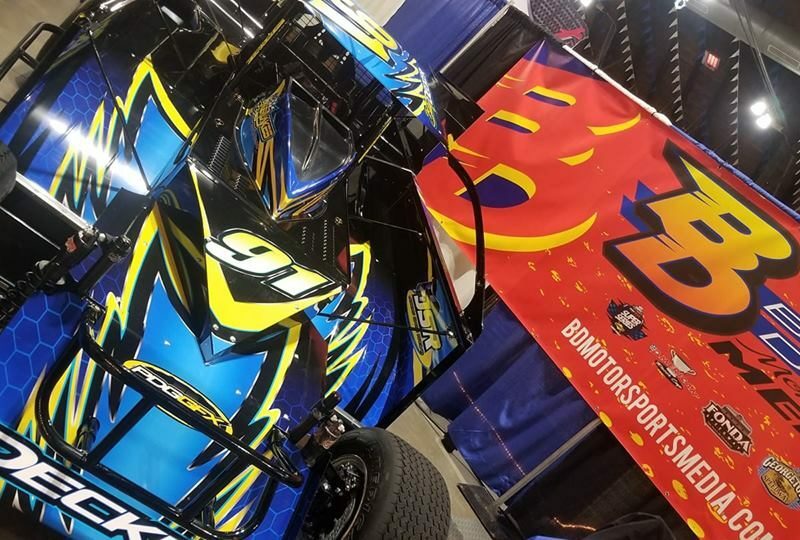 Matt Sheppard of Waterloo, N.Y., is officially the American Racer Cup Modified champion representing Outlaw Speedway in Dundee, N.Y. Sheppard has taken top honors with his Sweeteners Plus No. 92s team for the second consecutive year. Teenager Alex Yankowski of Throop, Pa., meanwhile, has clinched the American Racer Cup Sportsman overall championship utilizing Big Diamond Speedway in Minersville, Pa., as his home base. 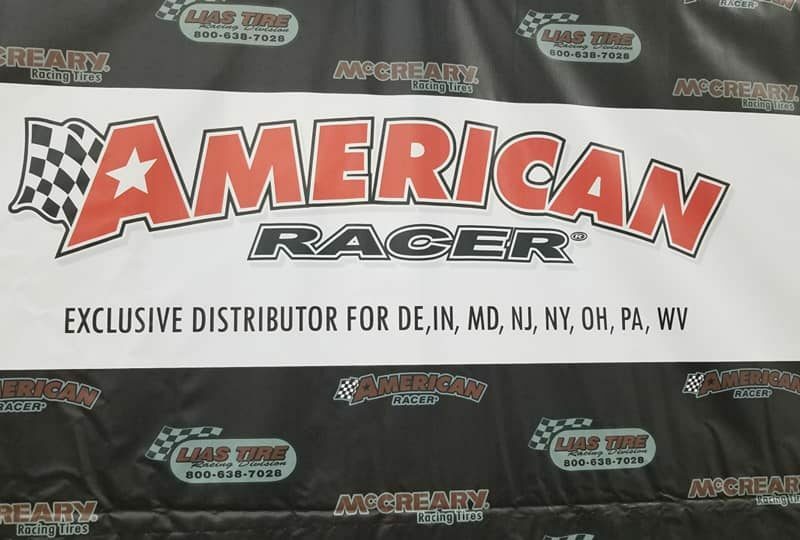 A total of 241 drivers registered for the program, which pits drivers at all 14 American Racer Cup tracks in the Modified and Sportsman divisions against each other for the $51,450 point fund and thousands more in tire giveaways sponsored by American Racer, Lias Tire of Indiana, Pa., Sunoco Race Fuels and Insinger Performance of Dushore, Pa.
Sheppard racked up seven victories among his best 10 Outlaw Speedway finishes utilized to determine the overall standings. 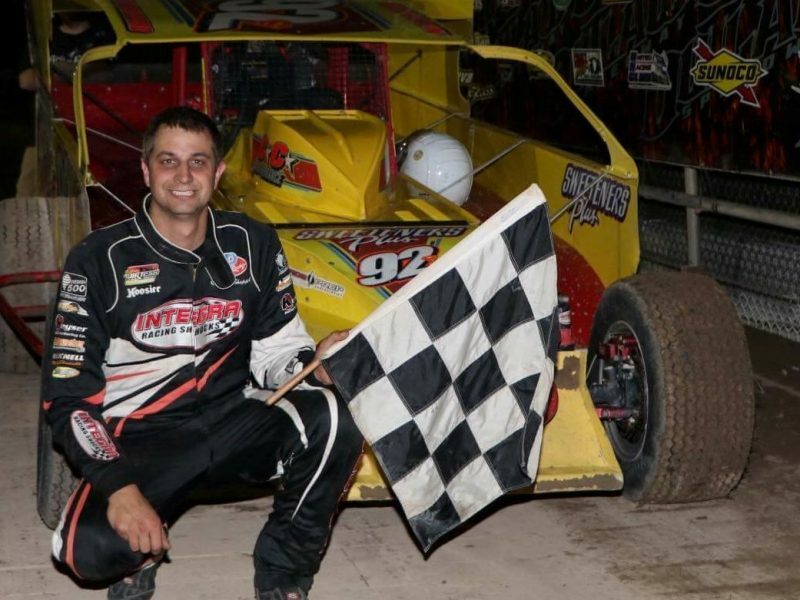 He will earn $11,000 for his efforts: $10,000 as the Modified champ plus another $1,000 as the Insinger Performance North Region titlist, comprised of participating speedways in the North Region. Sheppard’s point total – 640 – was just five better than runner-up Ryan Godown of Ringoes, N.J., representing Big Diamond Speedway. Godown, with 635 points, will receive $6,000: $5,000 for second-place overall and $1,000 from Insinger Performance as the South Region champion. 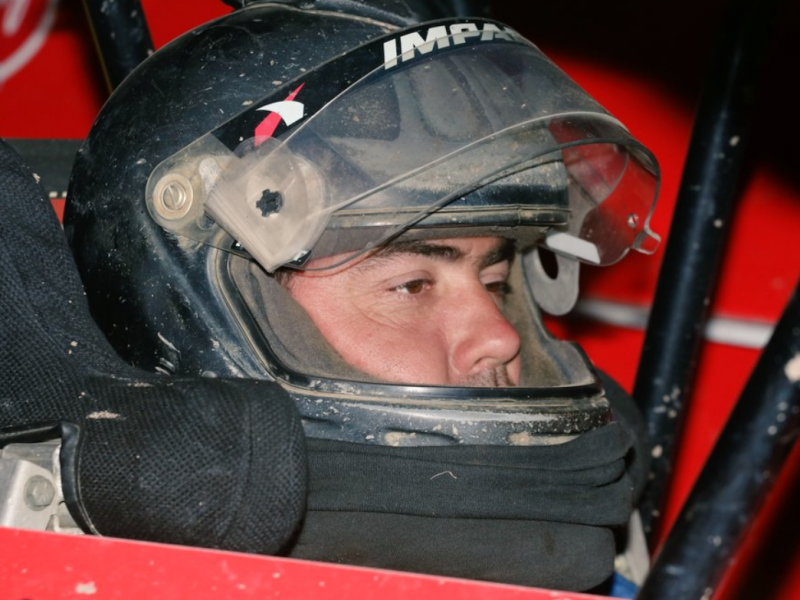 Sheppard now has the opportunity to chase the $57,500 Sunoco Race Fuels ‘Grand Championship’ should he sweep the American Racer Cup and North and South Regions of the Bob Hilbert Sportswear Short Track Super Series (STSS) Fueled By Sunoco. He currently leads the STSS Velocita-USA South Region and sits third in the Halmar International North Region. 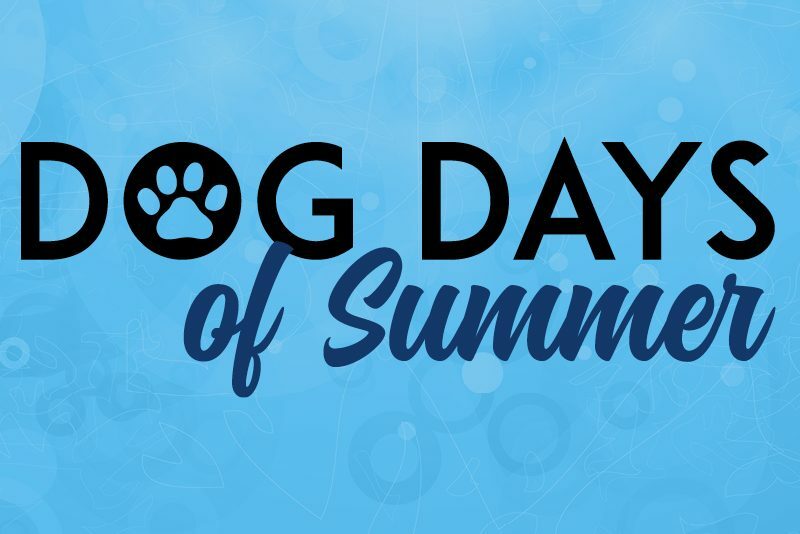 With $10,000 minimum to win the American Racer Cup, $10,000 to the South Region champ and $12,500 to the North Region title winner, a $25,000 bonus has been posted by Sunoco to win all three; should Sheppard win just one of the STSS Regions, a $10,000 Sunoco bonus is in waiting. Alan Barker of Norwich, N.Y., was third representing Thunder Mountain Speedway in Center Lisle, N.Y., with 631 points ($4,000) followed by Billy Van Pelt of Westfield, Pa., from Woodhull (N.Y.) Raceway ($3,500) with 630 points and Craig Von Dohren of Oley, Pa., with 628 points from Big Diamond Speedway, receiving $2,500. Drivers finishing sixth through 15th, respectively, were: Duane Howard of Oley, Pa., from Big Diamond Speedway ($2,000) with 621 points; Jeff Strunk of Boyertown, Pa., from Grandview Speedway in Bechtelsville, Pa., with 617 points ($1,750); Craig Von Dohren representing Grandview with 614 points ($1,500); Jeremy Smith of Triangle, NY., earning 612 points from Thunder Mountain ($1,250); Mike Gular of Boyertown, Pa., with 611 points from Grandview ($1,000); David Van Horn of Harmony, N.J., representing New Egypt (N.J.) Speedway with 604 points ($900); Alan Johnson of Middlesex, N.Y., from Outlaw Speedway with 603 points ($800); Accord (N.Y.) Speedway’s Anthony Perrego of Middletown, N.Y., with 603 points (fewer wins than Johnson had – $700); Howard for Grandview with 598 points ($600); and Billy Pauch Jr. of Milford, N.J., representing New Egypt with 596 points ($500). The Insinger Performance North Region standings are: Sheppard ($1,000), Smith ($750), Perrego ($500), Van Pelt ($350) and Barker ($250). The Insinger Performance South Region went to Godown ($1,000) over Von Dohren for Big Diamond ($750), Howard for Big Diamond ($500), Von Dohren for Grandview ($350) and Strunk ($250). Six of Yankowski’s 10 best finishes at Big Diamond led him to the overall championship, worth $2,000: $1,500 from the point fund plus $500 as the Insinger Performance South Region champ. Yankowski accrued 648 points, besting Kyle Rohner of Bushkill Falls, Pa., who takes home $1,000 with 635 markers accrued at Accord Speedway. Skyline Raceway Park of Blodgett Mills, N.Y., Crate 602 Sportsman regular Dale Welty of Montour Falls, N.Y., placed third with 630 points ($750). Three drivers – Doug Hendricks, Jim Rothwell and Mike Schane – tied with 625 points. Wins, second- and third-place finishes were used to break the tie with Rothwell of Plymouth, N.Y., in the Skyline Open division fourth ($600) followed by Schane of Penn Can Speedway in Susquehanna, Pa., ($500) and Hendricks of Big Diamond ($450). Outlaw Speedway’s Tom Collins of Lansing, N.Y., was seventh with 614 points ($400), followed by Accord Speedway’s Corey Cormier of Otisville, N.Y., ($350) with 609 points; Jacob Dgien of Avoca, N.Y., from Woodhull Raceway with 605 points ($300); Collins with 600 points representing Five Mile Point Speedway in Kirkwood, N.Y. ($250); Jimmy Zacharias of Candor, N.Y., from Thunder Mountain’s Crate 602 division with 599 points ($200); Kenny Hammond of Berkshire, N.Y., with 592 points ($150) from Thunder Mountain Crate; Big Diamond’s Craig Whitmoyer of Hamburg, Pa., with 591 points ($100); Gary Smith of Harpursville, N.Y., representing Afton (N.Y.) Motorsports Park’s Crate ranks with 576 points ($100); and Delaware International Speedway (Delmar, Del.) regular Greg Humlhanz of Chalfont, Pa. ($100) with 575 points. Insinger Performance North Region points stacked up with Welty ($500) winning over Rohner ($400), Cormier ($300), Collins (Outlaw – $200) and Rothwell ($100). In the Insinger Performance South Region, Yankowski ($500) won over Schane ($400), Hendricks ($300), Whitmoyer ($200) and Humlhanz ($100). The top-five Modified and top-three Sportsman at each participating track will receive tire certificates for their performances. Tire certificates will be available for pick-up at the American Racer Cup Short Track SuperNationals Weekend October 5-6 at Thunder Mountain Speedway in Center Lisle, N.Y., where Champion’s Match Races will take place for both the Modifieds (Saturday) and Sportsman (Friday). Cash will be paid out to competitors in mid-December. Drivers leading the individual American Racer Cup presented by Sunoco track standings (best of 10 finishes) as of August 1 in the Modified and Sportsman divisions will each receive a free American Racer tire. The recipients are below. As of July 11, Ryan Godown of Big Diamond Speedway (Modified) and Kyle Rohner of Accord Speedway (Sportsman) lead the American Racer Cup presented by Sunoco Race Fuels point battles. Due to the postponement of the ‘Lightning on the Mountain’ at Thunder Mountain Speedway until after Labor Day, there have been two changes in dates and venues for The American Racer Cup Challenge races. 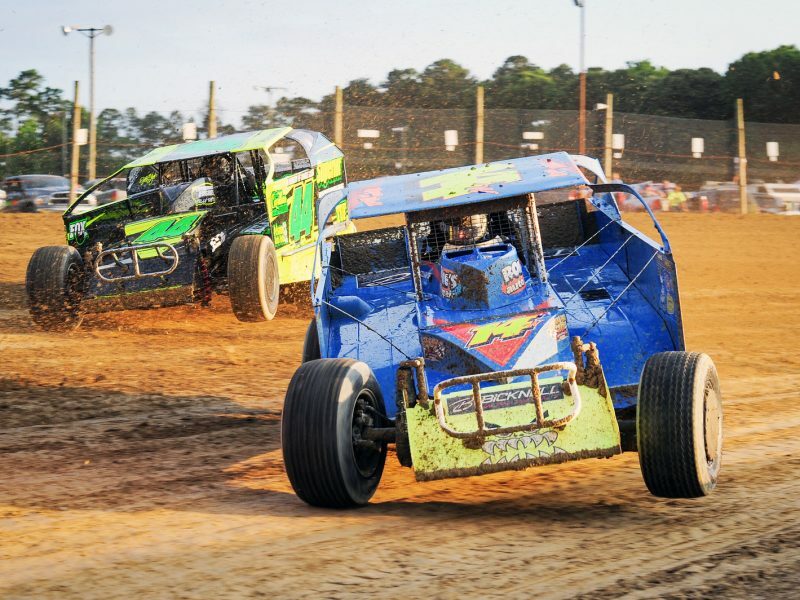 The Modified North Region Challenge Race from Thunder Mountain will now take place at The Official Accord Speedway on Tuesday, July 3 during Battle of the Bullring 6. The Sportsman Challenge Race from Thunder Mountain will now be held on Wednesday, July 25 at Afton Motorsports Park. Remember these events offer an opportunity to receive valuable BONUS points toward the Insinger Performance Regional The American Racer Cup totals.